Ante-natal care is offered with any London hospital although our closest links are with the Royal Free. A full range of family planning advice is available including most forms of contraception and cervical smears. Patients should make an appointment to see the Practice Nurse or Doctor for general advice. The Practice Nurse can also give Pre-natal advice. 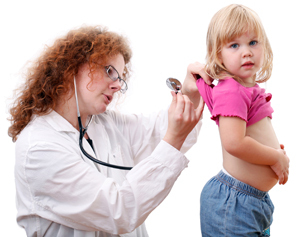 All childhood immunisations and the 6 week developmental check are available at the surgery. Patients should book these appointments with the surgery. If you would like advice on quitting smoking, sensible drinking, diet and exercise please make an appointment to see the Practice Nurse. Occasionally the practice is asked to produce reports for health insurance companies, solicitors, the local authority and others. Whilst happy to assist, these services are not covered by the NHS and a private fee may be payable. We will tell you if there is a fee to pay. A list of common fees is displayed in reception. When results become available they will be posted (with comments) to the patient. Generally, common tests return within 7 days but others may take longer. Please allow 2 weeks from having the test before chasing the result and remember that test results will be made available to the patient only - not to anyone who requests them on your behalf.